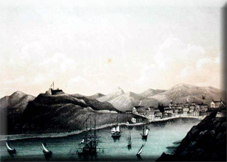 Discovered by Columbus in 1493, Saint Barthelemy had been a haven for buccaneers and privateers in the Seventeenth Century, before the French started to settle in numbers. 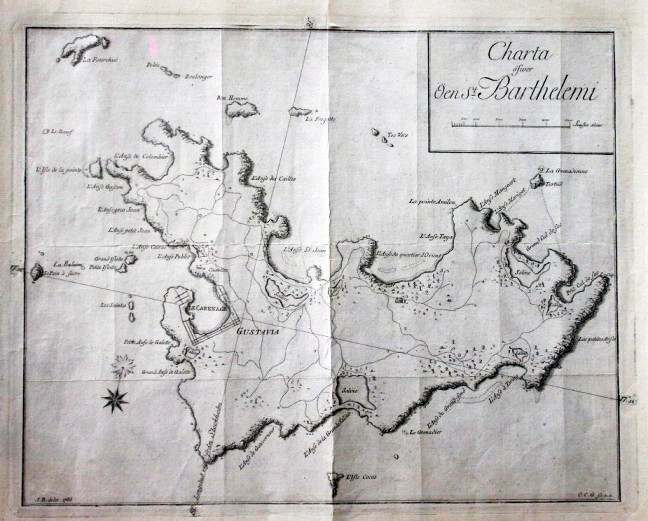 However in the Eighteenth Century the rising power of the Royal Navy vis-a-vis the French Navy meant that isolated islands like Saint Barthelemy were easy picking for the British. They first took charge of the island in 1758 as a result of the Seven Years War. They then returned in 1779 and 1781 due to the American Revolutionary War. After that there was a sudden change in the ownerhship of the island when it was sold to Sweden in 1784 by one of Louis XVI's ministers in exchange for trading rights. This did not mean that the island was not of interest to the Royal Navy during the Napoleonic Wars when Sweden was allied with Napoleon. 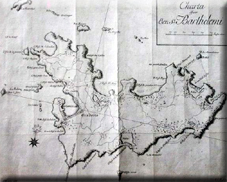 The British raided the island in 1801.